Paid link building is taboo in most SEO circles. It’s talked about in hushed tones (if it’s talked about at all). Most SEOs won’t admit to doing it. Buying or selling links is a violation of Google’s Webmaster Guidelines and will result in a penalty if you’re caught. For these reasons, this post is not intended to promote paid link building, nor do I personally endorse buying links. Whether or not you choose to buy links is ultimately your decision, but be warned: paid links attract a high level of scrutiny and the risk to reward ratio is almost never worth it. 22 percent still pay for links without disclosure. Why do SEOs and other business owners still buy links? What do they consider to be effective paid link building strategies? Do paid links actually work? Read on to learn what I discovered. What Is & Isn’t a Paid Link? 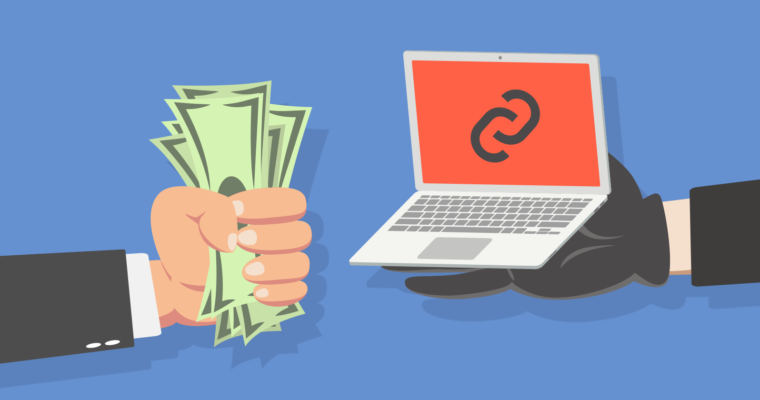 What exactly is a paid link? When I start talking about paid link building, this is by far the most common question I get asked. In other words, even sponsored guest posts and paid reviews are considered paid links. As you read this article, you should be aware that even “safer” paid link building strategies risk being considered part of a link scheme and violate Google’s terms and conditions. In the early 2000s, buying and selling links wasn’t just in vogue – it was considered good business. Directories that let you pay for reviews and service companies that allowed you to buy or “rent” links sprung up like dandelions on a lawn. Then Google brought out the weed whacker – enabling users to report paid links – which forced link buyers and sellers to get sneakier or change tactics. Over the past decade, buying links has become increasingly risky because Google’s ability to seek and destroy the SEO value of paid links has become uncannily accurate. That said, it isn’t foolproof. Some companies still resort to paid link building because it’s easier, it’s all they know, or it’s standard practice in their industry. 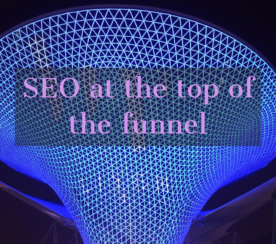 Today, the rise of organic link building and content marketing has more or less nullified the need for buying links in the SEO industry at large. SEO PowerSuite’s link building survey, and the follow-up replies by several leading SEO experts, clearly show that creating valuable content worth linking to is considered to be the best way to earn links. 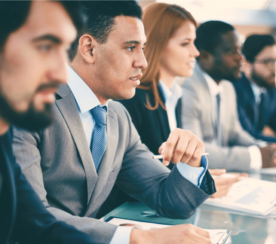 That said, 40 percent of respondents were unanimous regarding their most efficient link building method: creating data- and research-based content. Good link buying practices take time and patience. You need to begin with the same content you would use to launch an organic link building campaign — content that is highly relevant to your niche, high quality, and appealing to your target audience. You should also have a well-grounded link profile before you consider buying links, which means cultivating high-quality organic backlinks first. Vet websites carefully before buying links. Carefully vet each domain for anything that seems off, such as domain history, PageRank, and too many spammy outbound links. Create a purposeful link building strategy. Buy links slowly and intentionally, beginning with up to five and gradually increasing over the next few months. Your link profile should never exceed 10 to 25 percent paid links. Keep your anchor text diverse across each domain. Anchor text diversity is a must. Bad link buying practices include anything Google’s been working diligently to stamp out over the past few decades. These include link farms and private blog networks (PBNs). If your paid links are yielding a large volume of low-quality links, watch out, you’re at serious risk of receiving a penalty. Never buy sitewide links. Sitewide links (e.g. links in the sidebar, footer, navigation, etc.) scream “spam” to Google. Avoid link selling services and anyone selling “backlink packages.” Paying someone on Fiverr for a backlink package, and contracting a link selling service (e.g., Sape) are good ways to earn yourself a Google penalty. And if a site openly advertises that they sell links? Run! Avoid “red flag” websites. Websites that have been previously penalized, repurposed into link/article farms, and generally rely on ad-heavy, content-thin pages should all set your internal alarm blaring. Of course, whether you’re buying links or building them organically, it’s always important that you monitor the health of your backlink profile. Use link tracking software to measure your links’ impact, and prune low-quality links that might have a negative impact on your site. Be especially diligent if you’ve purchased links – double check page quality, authority, etc. regularly, and make sure your link’s anchor text hasn’t changed and that it hasn’t been switched to nofollow. The effectiveness of paid links is still hotly contested. It certainly seems like some businesses are managing to blend link buying strategies with organic link building strategies to great effect. We discovered that 78 percent of businesses who buy legitimate paid links consider them to be efficient backlink building opportunities. Similarly, 69 percent of businesses using paid link buying considered their campaigns to be efficient, according to our poll. Though the reported success rate is surprisingly high, the threat of a Google penalty is significant and quite real. If you’re considering buying links, just make sure you understand the risks and consider the potential impact on your long-term SEO before purchasing. The featured image is by the author.